Salling Search has been exclusively appointed to recruit for a Key Account Manager at Bunker One Global Account's (BOGA) new office in Houston, US. Apply directly for the role on our website by following this link http://adr.to/vf2uc or contact Soeren Salling on one@sallingsearch.com for more info. All communication will, of course, be kept confidential. An exciting and challenging career position as Key Account Manager is awaiting you if you are talented, innovative, collaborative, and ambitious. As a Key Account Manager, you will work with large cross group accounts and be based in Houston. As Key Account Manager you will be responsible for achieving and exceeding sales targets on own portfolio as well as agreed KPIs. You will support the Senior Key Account Managers and Key Account Managers in London and Singapore to achieve the key account plan targets. There will be a heavy focus on ensuring that all contracts in America are managed effectively as well as managing operations on both spot and contract deals that require delivery in America. You will work on setting goals, develop customer and supplier-centric account plans and ensure successful implementation of these plans for key accounts and stakeholders. You will become a strategic business advisor who can develop compelling and winning solutions to customer issues. Identification of decision-making processes, customer needs and business opportunities as well as creating and managing long-term relationships are essential parts of your role. You are an ambitious, driven, and analytical individual with proven sales skills and key account management experience. Additionally, you have experience with account planning from start to finish, flair for business development and innovativeness, and enjoy being with clients and colleagues. Strong operational experience is required. You know how to scope a project plan and manage several project tracks with clear deliveries and timeline. You find it natural to establish good and trusting relationships with customers and colleagues, and you have the skills to influence and ultimately lead others. Your ability to communicate with many stakeholders, both internal and external, will be vital in this role. We expect you to have a minimum of two years' relevant work experience within the industry as well as a relevant academic degree. 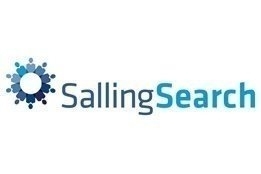 Salling Search is an established search and recruitment company based out of Singapore. With a focus on mutual respect, honesty and hard work, Salling Search aims to become a trusted partner to the companies we work with. Our intention is not to become the biggest, but to become the best search and recruitment company, and bring value and growth to our partners.